Our practice now has a HIPAA compliant Patient Portal which will allow you to securely view most of your clinical health information and communicate with our office. 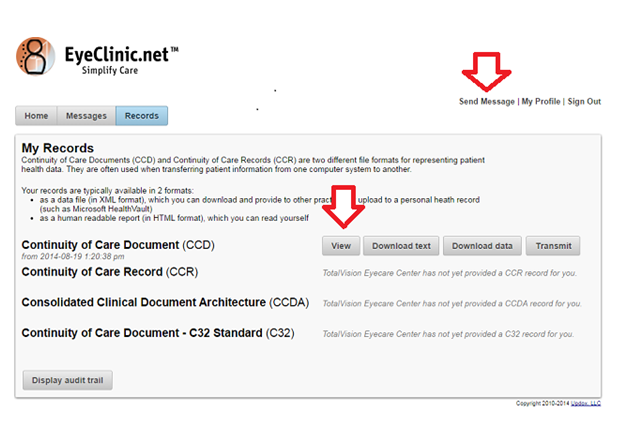 Click here to securely access your very own patient portal. Click on the image to discover all of the benefits of our patient portal. Enter the log-in information and verify your account. Then go to the “My Profile” tab and choose a new user name and password, and complete the information requested. Note: Before exiting the Portal, please view your record (see below) and send us a short message confirming that you have successfully logged on. Keep in mind that this site should not be used to contact us in an emergency. We will try and respond to requests or messages in a timely manner but do not expect an immediate response.